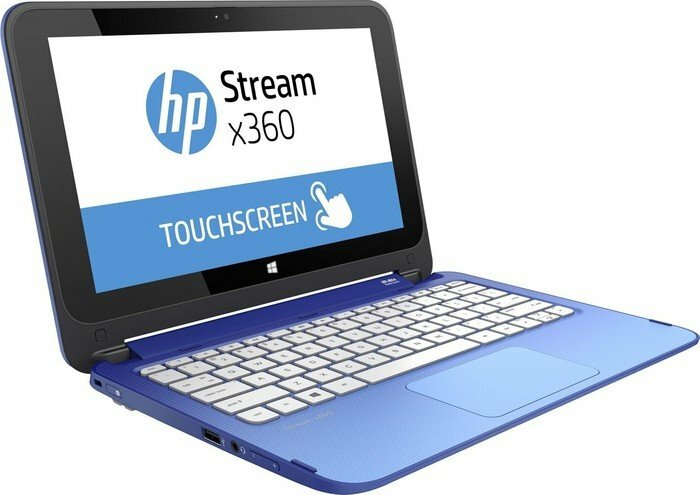 HP Stream 11-d000nd is a laptop aimed predominantly at students, and it’s available for an extraordinarily low price tag. A user gets a portable 11-inch laptop that even includes an Office 365 subscription, which is one of the key things that makes it perfect for students. 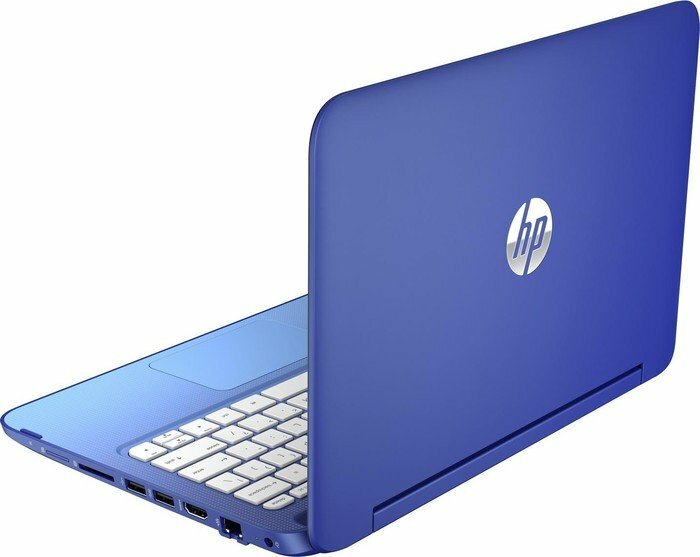 The laptop comes in two different color variants which are ‘horizon blue’ and ‘orchid magenta’. The plastic itself is soft to the touch, and any sweaty marks it picks up from clammy fingers fade away in seconds. 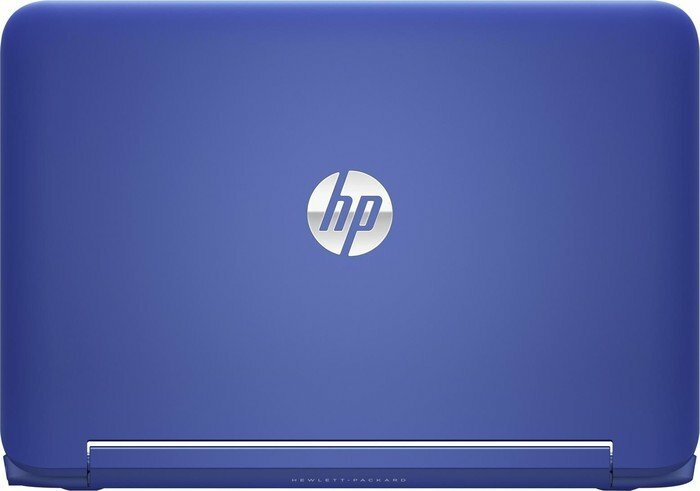 An HP logo cut from a piece of shiny silver metal sits in the center of the lid, while four rubber feet sit on the bottom and stop the PC from sliding around on table tops. The bezels on all sides of the screen are large and the base unit is clad in a two-tone, PowerPoint-style gradient effect. The top face of the keyboard dock closest to the screen is the same blue as the rest of the PC, but the side closest to the trackpad is turquoise. While it’s light, at 1.28kg, it feels a little heavier than it is. That’s due to the fact that it’s essentially an 11-inch laptop in the body of a 13-inch. The 11-inch MacBook Air is significantly lighter, at 1.08kg, but it also costs several times as much as the Stream 11. 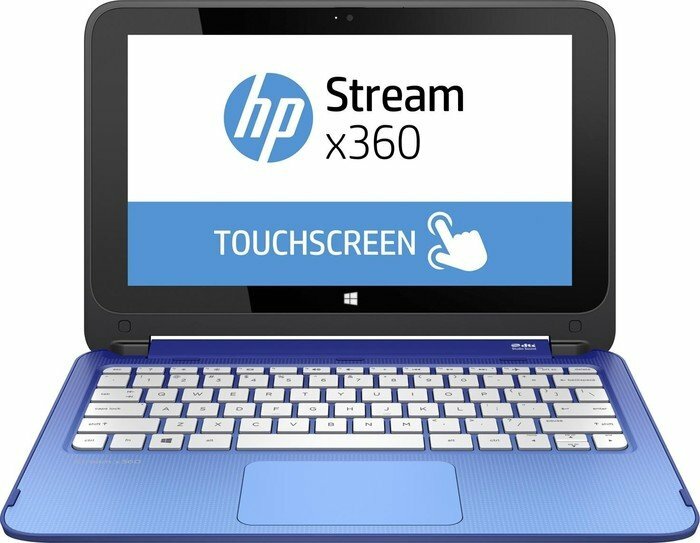 The screen of the Stream 11 is an 11.6-inch, 1,366 x 768 affair. Brightness is average at most. A user will struggle to use it outdoors during the day, despite the fact that the non-glossy screen has an anti-glare coating. It’s fine indoors though. However, viewing angles are quite good, so the user will still be able to hold mini movie screenings with a friend or two. 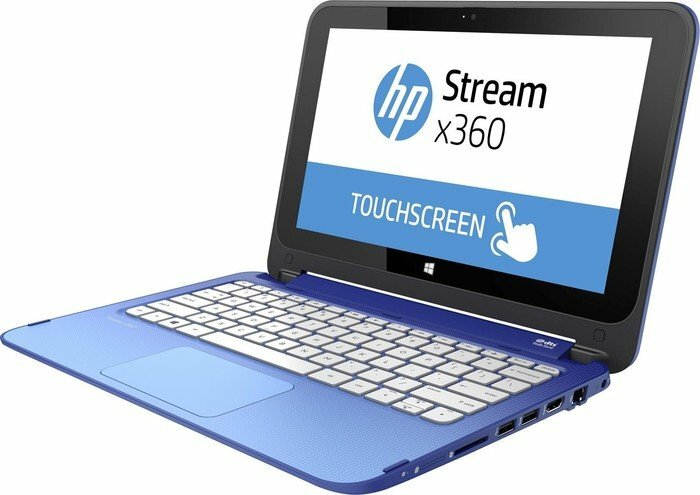 Powering the Stream 11 is a 2.16GHz (2.58GHz with boost) Intel Celeron N2840 processor, which is combined with 2GB of RAM and 32GB of internal storage, around 13GB of which is actually available. Since only 13GB of free storage space is available out of the box, HP includes a generous 1TB of OneDrive cloud storage, where the user can throw all files and photos. The freebie element unfortunately only lasts for a year, after which user will have to start paying. Alternatively, a user could make use of the SD card slot. Any SD card user use doesn’t stick out at all, this means the user can expand the limited 32GB built-in storage without inconvenience. A strong selection of ports is available on the base. USB 2.0, USB 3.0 and HDMI slots sit on the right side, while the charging port, SD card slot, and Kensington security lock are on the left. The Stream also has Bluetooth 4.0 and 802.11 b/g/n Wi-Fi.